In keeping with CSOFT tradition, at the end of last week’s World Localization Summit our President and CEO, Ms. Shunee Yee, hosted a Friday Night Party for all of CSOFT’s internal and extended team members, some clients, friends, as well as localization industry experts. Before wine bottles were uncorked and the festivities began, we were all treated to the inaugural CSOFT International Symphony, which was a music concert personally hosted by Shunee for all of her friends and colleagues. The pieces chosen for the concert were all hand-picked around a loose tribute to classical music used in theatre, movies, and television, which made for a pretty interesting mix. And it also made for the best opening sequence to a symphony orchestra ever. Now, you might be wondering what all this has to do with localization, and that’s definitely a fair question. In some respects, it has nothing to do with localization. 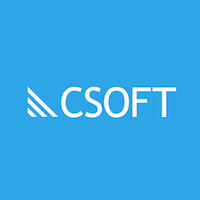 But it is intimately related to CSOFT as an organization and our company culture. For the past eight years, as a lifetime lover and collector of art, Shunee has personally hosted an art exhibit at each annual Friday Night Party as a way of thanking her colleagues and friends for their hard work and camaraderie (as the geeky Star Wars-esque clip mentioned). It is a way for her to share beautiful things and an appreciation for them with the people she cares about most. Music speaks in a motley voice. Some say that it, like math, is a universal language. But the fact of the matter is that somewhere between classical and punk, amid jazz, itinerant Japanese lute performances, hip hop and Gregorian chant is a distinctly personal experience that doesn’t always translate. With music, the difference between harmony and noise is often a very fine line. In this respect, music—although not universal—is a language of its own. Like language, music resonates with each person in an individual way. And it’s in that search for resonance that we often stumble upon those perfectly melodious moments, like hearing a familiar word in a foreign land. It was a joyful evening of musical revelry, and it was inspiring to witness the talents of individual orchestra members uniting to generate a powerful body of graceful synergy. As stated above, the mysterious impact that music has on each and every one of us does indeed surpass words and becomes a language in itself. CSOFT’s International Symphony: the talented members of the orchestra. In the words of Ms. Yee, the concert was very CSOFT. It was the perfect combination of elegance and fun, talent and beauty, unexpected surprises and powerful moments. We were captivated by the abilities of internationally recognized conductor Mr. Gao Weichun, in awe of the unexpected guest performances of musically talented colleagues (some even in costume! ), and moved by the resounding notes of the orchestra. What this has to say about the language of music, well… that is up to you to decide.